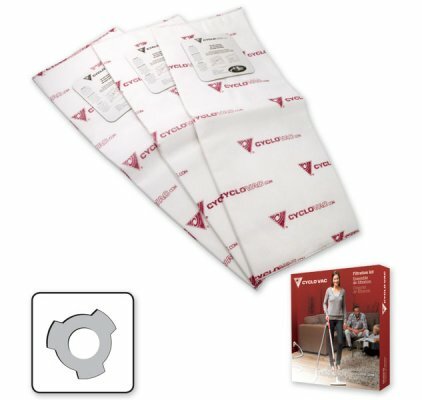 Package of 3 heavy duty electostatic filter bags for Cyclo Vac central vacuums. These disposable bags with 3 notches ensure constant maximum vacuum power, no matter the volume of dust inside. Those heavy duty bags are sewn to make them stronger. For the H615, HX615, H715, HX715, H2015, HX2015 and HX7515 models.